This book is a supplement toPrinciples of Econometrics, 4th Edition by R. Carter Hill, William E. Griffiths and Guay C. Lim (Wiley, 2011). It is designed for students to learn the econometric software package EViews at the same time as they are usingPrinciples of Econometrics to learn econometrics. It is not a substitute forPrinciples of Econometrics, nor is it a stand–alone computer manual. 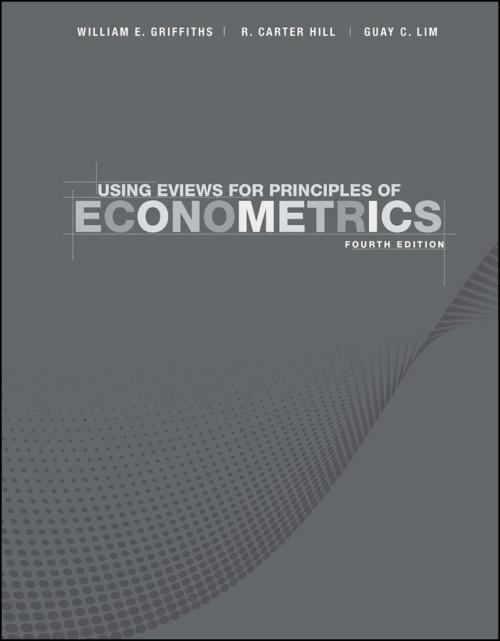 It is a companion to the textbook, showing how to do all the examples inPrinciples of Econometrics using EViews Version 7. For most students, econometrics only has real meaning after they are able to use it to analyze data sets, interpret results, and draw conclusions. EViews is an ideal vehicle for achieving these objectives. Others who wish to learn and practice econometrics, such as instructors and researchers, will also benefit from using this book in conjunction withPrinciples of Econometrics, 4th Edition.